Steelers Draft Stock Watch: 5 Players Rising and Falling on Pittsburgh’s Board | "IT'S A STEELERS WORLD"! Given the Pittsburgh Steelers’ team needs and the latest reports about players that could be on their draft board, here are five prospects who could be rising or falling in their eyes. Be sure to click on the players name to watch their highlight videos and take the poll at the bottom of the page. The Steelers are still in a stalemate with veteran strong safety Troy Polamalu. There are, as of now, no updates as to his status from either his camp or the Steelers. However, it’s fair to assume that Polamalu won’t be playing for the Steelers this year, whether he retires or the team releases him from his contract. That leaves the Steelers thin at the safety position. In fact, they are so thin that head coach Mike Tomlin said at the NFL owners meetings in Arizona earlier this week that he could move free safety Mike Mitchell to strong safety rather than start the inexperienced Shamarko Thomas at the position. Regardless of how the Steelers approach the safety positions this year, they will need to add depth. 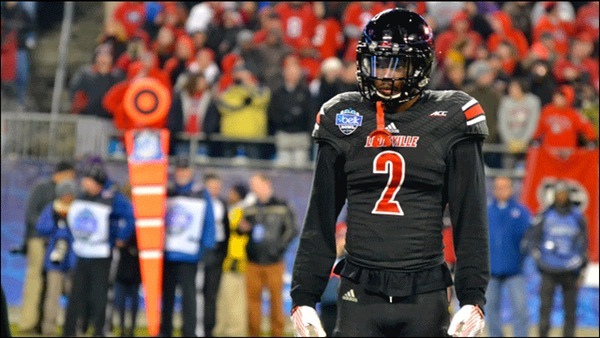 And though safety is one of the thinner positional groups in the draft, they could find a Day 3 sleeper in Louisville’s James Sample. Sample began his career at the University of Washington before heading to junior college and then to Louisville, where he started just one season, totaling 90 combined tackles, eight passes defensed and four interceptions in his 2014 season. Though CBS Sports’ Rob Rang thinks that the lack of experience and the fact that Sample “does not possess ideal acceleration to recover if beaten initially and may lack the straight-line necessary for man coverage duties against NFL-caliber wide outs” are a hindrance, the duties of the strong safety position don’t require constant man coverage—especially not in Pittsburgh. Given the Steelers’ lack of depth at safety, Sample might be climbing up their draft board enough to be considered a mid-round target for a team that excels at finding defensive backs on Day 3 of the draft. There are a lot of talented edge-rushers in this year’s draft class, but as the predraft process wears on, some are differentiating themselves from the pack. 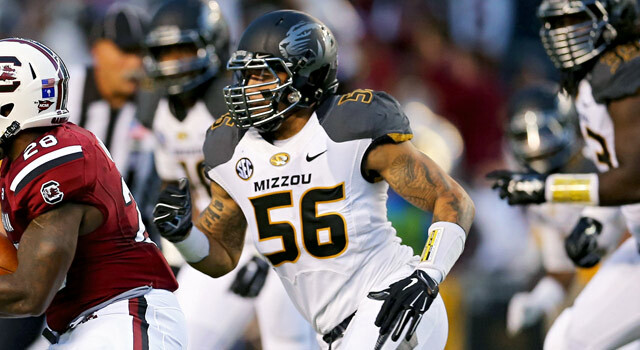 One who is doing so—and not in a good way—is Missouri’s Shane Ray. Though impressive on tape (where it matters most), with 120 career combined tackles, 34 tackles for a loss and 19 sacks—including 65 tackles in 2014, 22.5 tackles for a loss and 14.5 sacks—he didn’t particularly stand out at his pro day. Granted, workouts are not the same as a live game, and that’s where Ray excels the most. Therefore, his disappointing measurables (in relation to the other top pass-rushers in the draft) may not matter at all to the Steelers. However, if they do, then he’s likely slipped a few spots on their draft board. However, the Steelers would benefit if Ray drops significantly on the draft boards of rival teams that are also looking for pass-rush help. That could drop him far enough in Round 1 for the Steelers to snag him at 22nd overall. So there may be a silver lining for Pittsburgh if Ray’s draft stock continues to slip over the next 30 days. 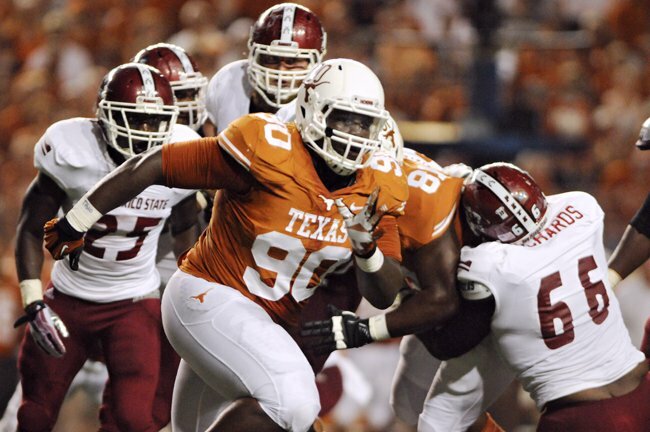 Texas defensive lineman Malcom Brown is one of the draft’s most versatile players as well as one of its most talented, which means he’ll likely be a Round 1 selection. He has a career total of 88 tackles, 15 tackles for a loss and 6.5 sacks, with 71 tackles, 13 tackles for a loss and all 6.5 sacks coming in his 2014 season. After a good showing at the scouting combine, Brown had an impressive pro day, going through what NFL.com’s Gil Brandt called a “very tough workout” conducted by three different defensive line coaches. Brown could serve as an interior pass-rusher for the Steelers, a situational player on the outside and a linebacker or defensive lineman, including nose tackle. That versatility to play many positions is an asset for the Steelers, who need help both in their linebacking corps and on the defensive line. Given that Brown continues to impress in his workouts and has a high ceiling, there’s no doubt that the Steelers have him among their potential Round 1 selections. 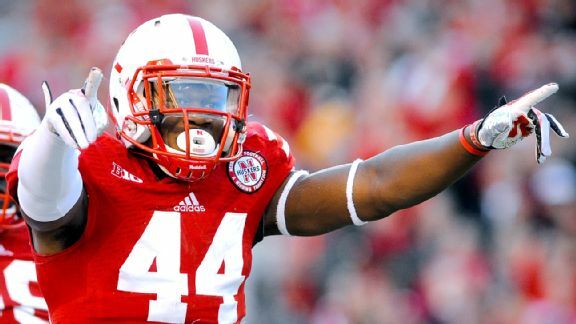 Nebraska’s Randy Gregory, with his 120 combined career collegiate tackles, 25.5 tackles for a loss and 17.5 sacks, was one of the draft’s top edge-rushing prospects. But now his Round 1 prospects—and the Steelers’ interest in him—is in jeopardy after he revealed he failed a drug test at the scouting combine, testing positive for marijuana. To Gregory’s credit, he owned up to his mistake and explained his history with marijuana candidly in an interview with NFL media at his agent’s office on Wednesday. He blames only himself. Still, as Bleacher Report’s Matt Miller points out, it’s not the smoking that is the issue, but rather the player’s ability to pass drug tests once he’s in the NFL. Miller also pointed out that a positive scouting combine drug test dropped Kansas City star edge-rusher Justin Houston to the third round. The Steelers may or may not take issue with Gregory’s past. It all depends on if he’s truly invested in future improvement, rather than just paying lip service to it. This may be too much for the Steelers to gamble on, given their thinness at edge-rusher. Or, it could see Gregory fall into the Steelers’ laps at 22nd overall, giving Pittsburgh an opportunity it won’t want to pass up. But at least right now, Gregory’s admission does have a negative effect on his draft stock. The Steelers’ need for additional cornerback help remains, and general manager Kevin Colbert believes that help will come via the draft. Though he was noncommittal about addressing the position in the first round of the draft when speaking at the owners meetings, according to the Pittsburgh Tribune-Review’s Mark Kaboly, he was clear that there will be rookie defensive backs on the roster this year. 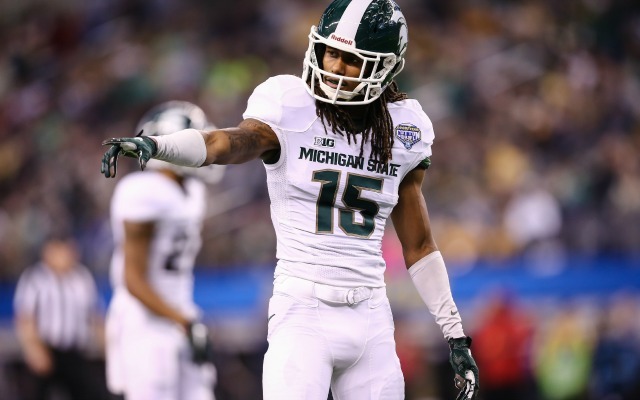 Though the Steelers typically go with the best player available in Round 1, need and overall talent may overlap should Michigan State cornerback Trae Waynes still be available when they pick 22nd overall. Waynes, who totaled 101 combined tackles, four tackles for a loss, six interceptions and 13 passes defensed in college, had a strong pro-day workout earlier this month, improving upon scouting combine times that had been held down by cramping and looking sharp in drills. The workout only solidifies Waynes as one of the most talented man-to-man cornerbacks in this year’s draft class. While that may mean he is out of the Steelers’ reach in Round 1, there’s no way he’ll be dropping down their board.